Providing you the best range of stiix chocolate roll wafer and waffles orange wafer with effective & timely delivery. 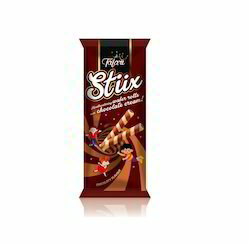 We are a name reckoned in the market for offering the premium quality range of Stiix Chocolate Roll Wafer. Highly acknowledged for their good taste and rich fiber content, the biscuits have become the popular choice amongst the customers. We are a brand widely recommended for offering a quality tested and in adherence with the global standards. 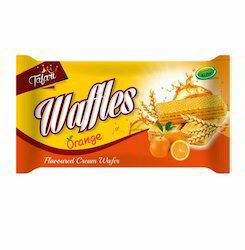 We have in stores a crunchy and tasty range of Waffles Orange Wafer. The products are popular for their rich taste and freshness. The products are manufactured in presence of quality experts who have commendable experience in the relevant field. Moreover, they are very reasonably priced.